A native of Milwaukee, Wisconsin, Tom Gething received a B.A. in English literature from the University of Arizona in 1975. After a year teaching in Mexico, he earned an MBA and spent a career in international business before pursuing fiction writing in earnest. Under a False Flag is his first novel. Though primarily based on historical research, the novel builds on his experience living, working and traveling in Latin America. 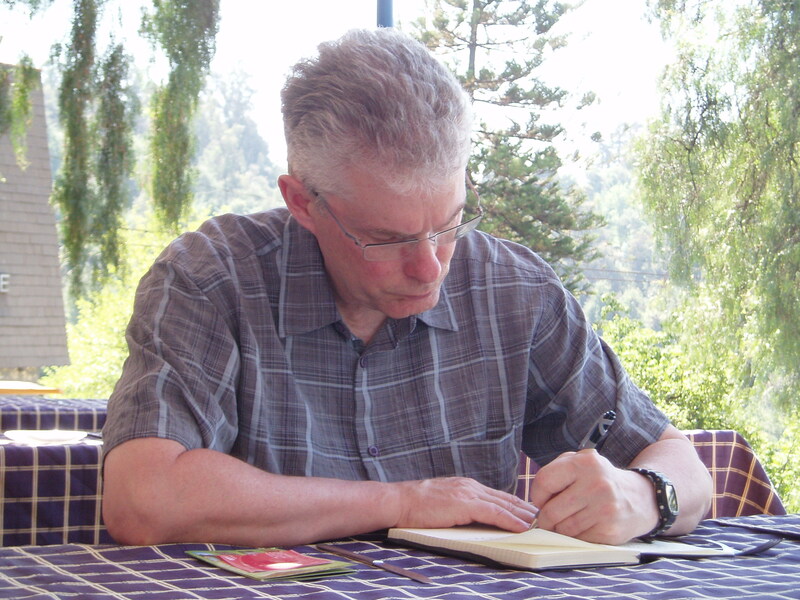 He has also published stories in the Soundings Review, the Barcelona Review, and other publications. He lives with his wife and a rambunctious Labrador retriever in the Seattle area. Felicitaciones Tom. Yo soy un lector de la vieja ola y espero con entusiasmo la copia de papel de tu novela. Estoy seguro que va a generar una buena discusión de amigos y lectores. La portada también fue una buena escogencia. Buen viento y buena mar a tu novela. Thanks, Javier. There’s a line of Spanish dialogue in the book you’ll recognize! Thank you for stopping by and for following! Your blog looks wonderful, i love literature. I’m sure i’ll enjoy following you. Have a nice week ahead. I too thank you for paying me a visit and leaving your calling card, Tom. What a joy to discover a writer so close to home. It appears that our experiences abroad inform much of our writing. That, and being left-handed! I look forward to reading more and learning from you. Thank you for your kind words. I was overwhelmed by the response to my little piece. I’ll look forward to hearing if I win the award, but even if I don’t I appreciate the fact that you nominated me! Congrats on Freshly Pressed. Loved the semicolon piece. A riot! Poor you: I enjoyed that post so much that you’re stuck with a new follower now. I was so relieved to see that someone finally had the guts to stand up for pooe old semicolon; I’ve always given him plenty of space when I write, but he’s fast running out of pages to run around on elsewhere in the writng world. As you appear to be very good at fighting linguistic battles, please could you sort out the rash of exclamation marks and suggest glasses for AUTHORS WHO WRITE IN CAPITAL LETTERS? Thank you for taking the time to read my little parody! I’m glad you enjoyed it. Regarding my work-in-progress, I appreciate your inclusion of me on your list but I’m going to decline, only because I prefer not to describe my work until it’s ready to be published…too many things can change, and I’d rather not restrict myself or set false expectations. Good luck with your own writing project!